The past few days I've been riveted to the news networks waiting for the royal baby to be born. The tiny prince has arrived, the new family is home, and this photo says a lot about first time dads. Can't you just sense the intense concentration? New moms seem to naturally know how to care for their babies. But with dads, well, there's a learning curve, from the first feeding to changing those nappies. Ah, memories. And precious moments. I'm really looking forward to watching the little guy grow up, just as I did his father. Oh I wish them well! His mother did such a good parenting job and I know he and Kate will carry that on with the baby. It's nice to watch Good News instead of all the bad. I watched when his mom and dad got married, when he and Kate got married and now I've watched the royal baby make his entrance, although I was hoping for a girl. They are such a nice couple. A great example amidst all the garbage out there. The nice thing about this little family is that you can actually see the love they share. Did not see that with Diana and Charles. Diana was a great mom, but they were not what you would call a close family unit. She and the boys were close, but Charles was always distant. Plus, Diana taught her boys that they are people as well as royalty, and it shows in the men they became. 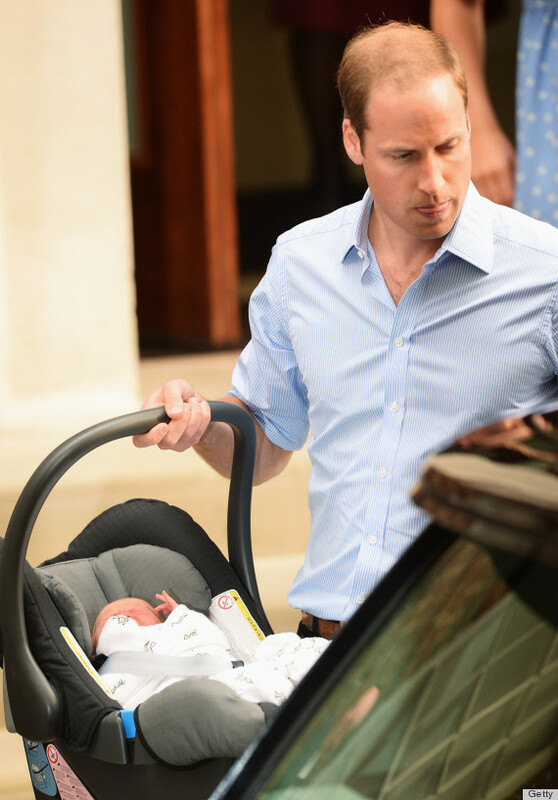 William seems to be a caring husband and father, rather than a figurehead. I really wish them all the best. Sweet. But I do think little George will have a score of nannies to take care of him.